Since 1999, Habitat for Humanity of Findlay/Hancock County has guided local families seeking security through the dream of home ownership. The time has come to stabilize our organization and secure its future by buying a HOME OF OUR OWN. Join us as we take our mission to the next level in order to serve more families. 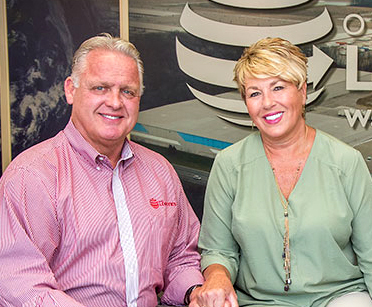 A proactive relocation plan was developed to secure our future because our current leased location does not meet our operational needs and is being sold. We are committed to paying off our mortgage note and construction loan as soon as possible so we don’t have any debt. Owning our building frees up more funds for our mission to lower overhead. The new building at 1200 Commerce Parkway provides efficient space for ALL ReStore and administrative operations under ONE roof. Also, it will provide expanded financial education space for Habitat partner families and the community. The new location also provides space for Construction and Repair training for Habitat crew leaders and pre-build safety seminars. WHAT CAN YOU DO TO HELP? We need volunteers to help prepare the new building for our needs. Learn more about volunteering by clicking on the volunteer tab. Your financial contribution will help us to make this dream a reality. We will be able to help more Findlay/Hancock County families with secure, permanent housing. 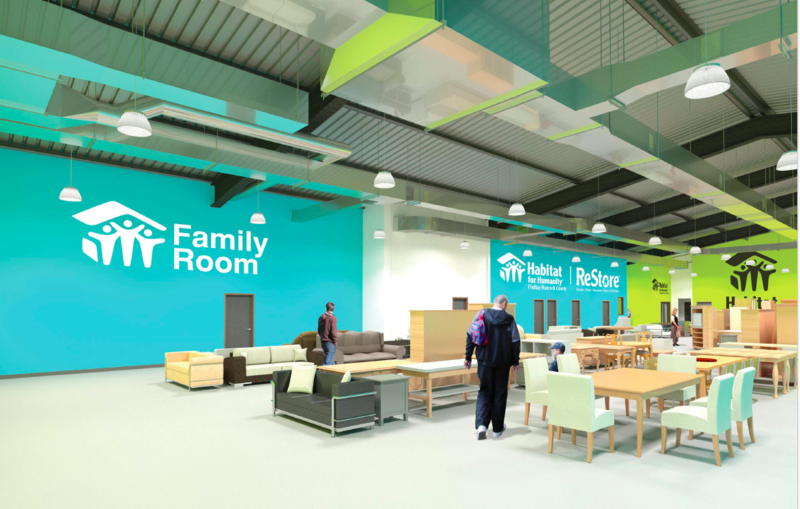 Our Vision: A strong, secure future where a Home of our Own supports a thriving ReStore business that helps us serve more families. We’re making a SMART MOVE for Findlay/Hancock Habitat. At 1200 Commerce Parkway, Habitat for Humanity will for the first time in its 22-year history — have a place it can truly call HOME. We are excited to lead this historical capital campaign, A HOME OF OUR OWN, to take what is a vacant office building and turn it into a premier affordable home-building, education, training facility that houses on of the state’s best ReStores. Findlay Habitat’s new home will provide significant benefits beyond the organization itself, strengthening Habitat to serve families and address the deficiency of affordable housing in our community. It’s transformational! 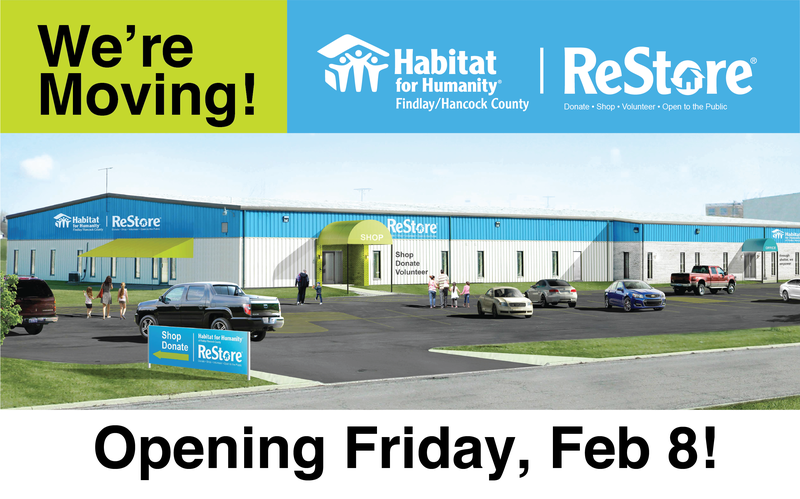 It is a momentous time for Findlay Habitat for Humanity and we hope you will join us in supporting this growth opportunity for the organization. WHY MOVE FROM YOUR CURRENT LOCATION? We rent our current campus, which is held in a family trust. Upon the death of the elderly building owner, the property we occupy will immediately be sold. This puts Habitat operations at risk if forced to vacate our current premises with minimal notice. It is in the best interest of our staff, volunteers and partner families to develop and implement a proactive plan. • Recurring minor and major flood events have repeatedly interrupted Habitat for Humanity operations; the 2017 flash flood emphasized the significant, costly risks the current location poses to our day-to-day work that would be nearly impossible to fully rectify. • Difficult and dangerous ingress/egress from Tiffin Avenue due to heavy traffic and a single shared driveway with commercial business enterprises compromise the safety of our customers, donors, volunteers and staff. • The current Tiffin Avenue campus is landlocked, offering no room for growth and no opportunity for alternate ingress/egress. • • • Parking is insufficient for our needs. • Dividing donated goods, staff, volunteers and operations between the two separate buildings of our current campus creates duplicative efforts and inefficient systems. We help our partner families understand that home ownership is an important step to self-reliance and stability; the same is true for Habitat for Humanity. Owning our building gives Habitat a Home of Our Own. We can put down roots in a safe, secure building, without worrying about when the rent will go up or if the landlord will find better opportunities for revenue from the campus we now occupy. Owning 1200 Commerce Parkway with a 20-year note is half the cost monthly of leasing on Tiffin Avenue. ReStore is an important part of our financial foundation. 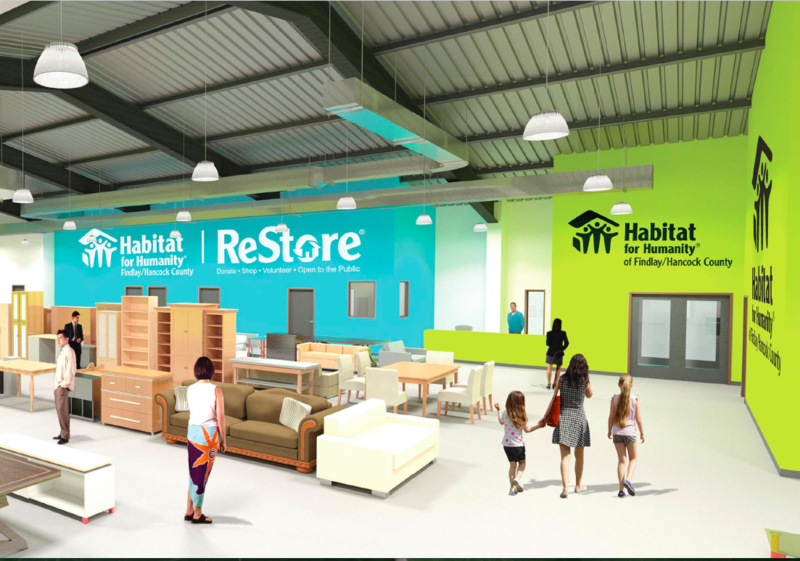 Since opening in 2010, ReStore has generated a steady cash flow and continues to grow, generating 38 percent of our annual revenue by selling donated home goods, furniture and appliances. The current campus configuration requires us to divide ReStore products and operations between two buildings – which is inefficient for staff and confusing for customers. Growth in donations supports growth in sales, allowing us to expand our mission to serve families needing safe, secure and affordable housing. 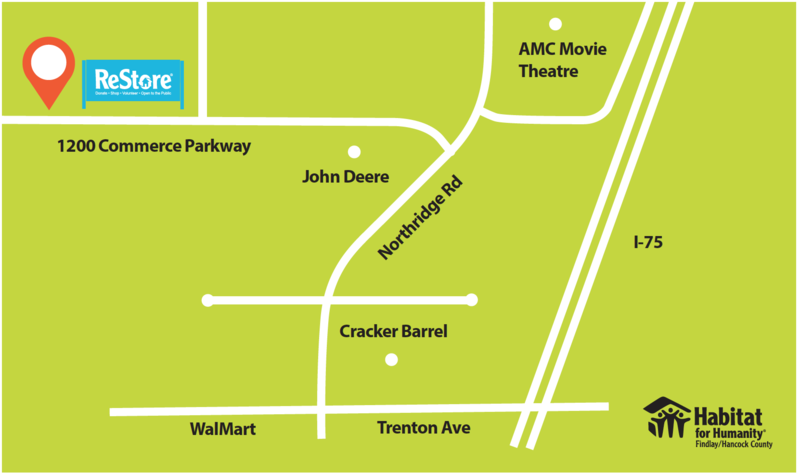 Easy accessibility from I-75, coupled with the commercial and residential growth on the west side of Findlay, will offer an expanded market for ReStore customers and donors. WHY DO YOU NEED THAT MUCH SPACE? 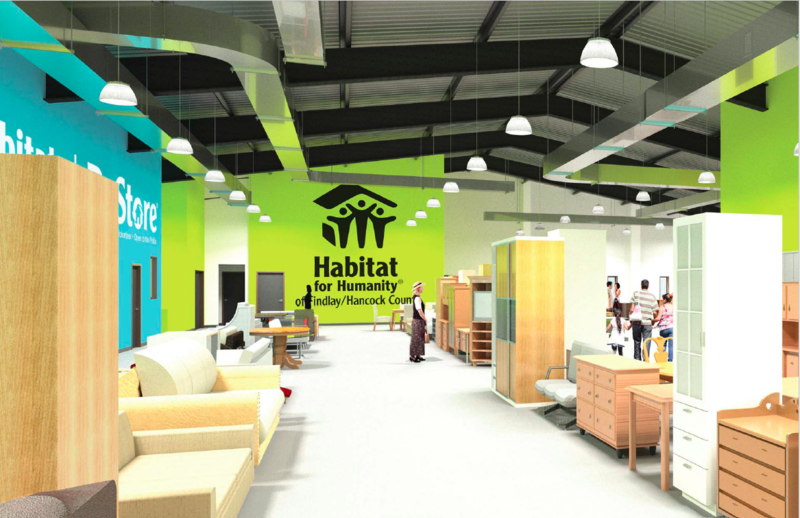 Habitat would be right-sizing our operations with the move to a new 23,000-square-foot building. Your generosity will support the purchase of the building and property for a Home of Our Own, complete necessary renovations needed to bring it to operational status and complete relocation to it. HOW WILL OWNING A BUILDING BENEFIT OUR COMMUNITY? Our three-year strategic plan focuses on building stability by implementing exactly what we teach our partner families: decrease debt, prioritize expenditures and invest in ourselves first. We will pay off our mortgage as quickly as possible while maintaining our current programming model (two new home builds, one home rehabilitation, 15-20 critical home repairs, and ongoing community education). This will mitigate the unnecessary financial strain and uncertainty of our current location. Having a Home of Our Own allows us to cultivate strength and stability for our own organization. Stabilizing our operations now will position us to serve more families in the future.